Each week, In Theory takes on a big idea in the news and explores it from a range of perspectives. This week, we’re talking about drug scheduling. Need a primer? Catch up here. There are rumors that the federal government may soon lift its ban on marijuana, but that wouldn’t end marijuana prohibitions in the United States. This incongruity is the result of federalism: the ability of each jurisdiction — the federal government and every state — to maintain its own laws as to which drugs are illegal and which are not. Completely legalizing marijuana in the United States would require the actions of both the federal government and every state government. If the federal government repealed its criminal prohibition of marijuana or rescheduled the drug under federal law, that would not change state laws that forbid its possession or sale. Likewise, state governments can repeal their marijuana laws, in whole or in part, but that does not change federal law. 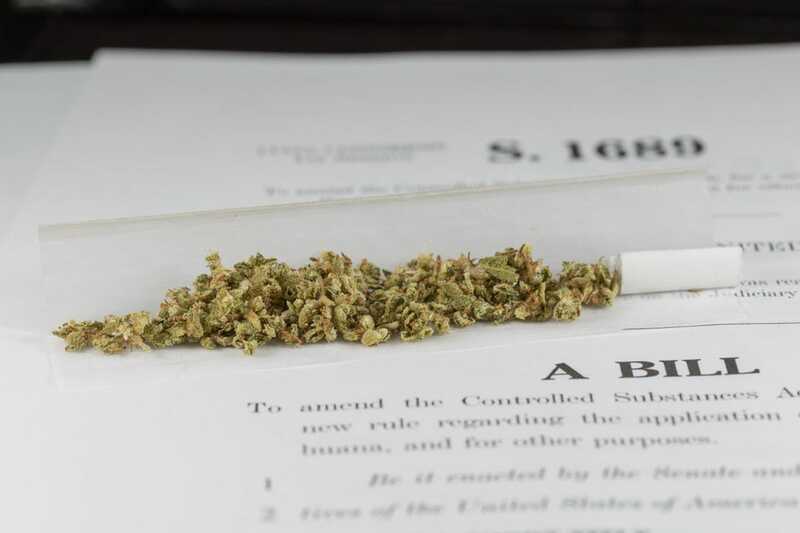 When Colorado and Washington legalized the possession of less than one ounce of marijuana, questions arose as to how this would interact with federal law. Specifically, the question was whether such state efforts are preempted by the federal law, which still prohibits marijuana as a controlled substance like heroin and cocaine. The answer is clear: States can have whatever laws they want with regard to marijuana or any other drug. No state is required to have a law prohibiting or regulating marijuana. The Supreme Court has repeatedly held that Congress cannot force states to enact laws; such coercion violates the 10th Amendment. A state could choose to have no law prohibiting marijuana, or a law prohibiting marijuana with an exception for medical use, or a law allowing possession of small amounts of marijuana, or anything else. In fact, across the United States today, this is exactly the situation — many states have very different laws concerning marijuana. Similarly, if the federal government were to repeal the prohibition of marijuana or reschedule it under the Controlled Substances Act, that would not change state laws. States still could prohibit and punish the sale and possession of marijuana under state criminal statutes. Contrary to what many believe, marijuana laws continue to be enforced by both states and the federal government. According to statistics from the Federal Bureau of Investigation, 693,482 individuals in the United States were arrested in 2013 and charged with marijuana violations. Of these, 609,423 — or 88 percent — were arrested for simple possession. There is an enormous cost in terms of law enforcement resources, the criminal justice system and people’s lives for marijuana to remain illegal. Even for those arrested and never prosecuted or convicted, arrest records have real harms in terms of the ability to get jobs, loans, housing and benefits. Like all drug laws, the prohibition against marijuana is much more likely to be enforced against African Americans and Latinos than against whites. According to a 2013 study, whites and blacks use marijuana at roughly the same rates, but blacks are 3.7 times more likely than whites to be arrested for possession of marijuana. Emerging ideas and arguments behind the news. Yet there is little benefit to illegality. The primary argument for keeping marijuana illegal is that it is harmful. But as President Obama observed, pot is no “more dangerous than alcohol.” Many things are harmful — cigarettes, foods high in sugar and salt and cholesterol — but that does not mean that they should be illegal. In fact, there is a good deal of evidence that marijuana is significantly less harmful than tobacco or alcohol and that it has benefits in treating some medical conditions such as glaucoma and seizure disorders, and alleviating some of the ill effects of chemotherapy. That is why 24 states and the District allow medical use of marijuana. Like the prohibition of alcohol in the 1920s, the prohibition of marijuana has been a failure. The drug is readily available and it is estimated that 30 million Americans used it in the past year. And similar to the prohibition of alcohol, it is a costly failure. In addition to the cost in enforcing the criminal laws, there is the loss of significant revenue that could be gained from taxation and legalization. It is a question of when, not whether, marijuana becomes legal in the United States. A study by the Pew Research Center last year found that a majority of Americans now favor legalization and only 44 percent believe it should be illegal. Of those under 35 years old, 68 percent believe that marijuana should be legal. But there is no doubt that the confusion federalism entails will make legalizing marijuana much more difficult. After Fighting for Freedom, 76-yo Vet Sentenced to Die In Prison for Treating His Illness With Pot Barry Lambert: "Bad laws deserve to be broken. I am fully supportive. It is the right thing to do."